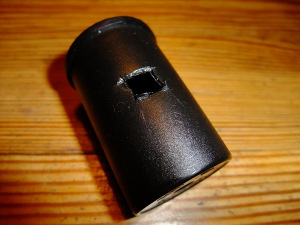 Lomography Magazine Pinholes & Sprockets: Making a Film Box Pinhole Camera! Kodak? Fuji? Whatever film you use, save those empty film boxes my fellow Lomographers and I'll show you how to can make your very own pinhole camera with them! An empty 35mm film canister with a small piece of film still attached (You can get these at any photo lab, just ask them, they throw them away so they'll be more than happy to give them to you). Firstly open up your empty film box and cut off the flaps as shown. Mark an X to find center and draw a small square in the panel shown. Cut out this square with a craft knife. Draw and cut two slots, about 3cm by 1mm. (These are approximates, you can/may alter these later). Cut out a small square from your aluminum foil, 2cm by 2cm will be enough, and carefully pierce the center. Just push the tip through, but not the entire needle. The idea here is to get the smallest hole possible (I didn't do too much research when I made this for myself, but I did remember someone saying ‘the smaller the pinhole the sharper the picture quality’). Note - The pinhole shown in the photos are much bigger than the one I shot with. I did this for illustration purposes. Take your aluminum foil with your newly made pinhole and align it to the square from your film box. Tape this in place with black tape. Using a few bits of tape, begin reconstructing the original box shape. This is what your pinhole should look like at this point. I would firstly like to say that I take no credit for the design of this shutter mechanism. It was a product of a pinhole camera my old photography tutor showed me years before and my sister's creative input (she's a product designer and a very good one at that). Take a piece of black card and cut a rough piece to the size of 1.5cm x 4cm. Cut a small box from the center. Cut two new slots as shown. The height is slightly taller than the center square and roughly 1mm in width. Cut out a new piece of card to the length of 6/7 cm. The height of this needs to be smaller than the height of the two slots you just made from the first piece. Cut a small square in the center also. Note: after much use of my current pinhole camera, it's best you make this square as small as possible as it weakens the card stock due to it's positioning. With both pieces of card in hand. Carefully thread the new piece through the slots as shown. The shutter is now complete! Test it by pulling it to the sides. I've pulled mine to the left (shut state), pulled it to the right to open it and then continued pulling to shut it again. Reverse this process to open and close the shutter (Adjust/cut the pieces of card accordingly if things seem a little stiff). You can mark the shutter's closed states by folding it at the ends. This stops you accidentally pulling out the piece of card and overexposing shots. Tape this to the film box, aligning the hole of the shutter with the pinhole of the box/camera body. Take your fresh roll of film and thread it through the left slot first and then through to the right. Tape the tip of your fresh roll (left) to the film tip of the empty canister (right). Wind this to test that it smoothly rolls into the canister. After you've checked the take-up spool (right canister), you want to secure both canisters using more black tape. Push in the lip of the left canister into the box as much possible (without crushing the box obviously) and tape it in place. You can use the flaps you cut out earlier to add extra support. Do the same with the take-up spool. You now need to completely seal the entire box with black tape. Begin by taping up the edges. You should pay extra care when taping around the film spools. The aim is to tape up the areas where the film is entering the box to avoid light leaks, but at the same time allow the spools to spin freely. You’re nearly there! All that’s left now is to add a paper clip as a winder and tape a piece of paper/tissue to add tension to the whole winding mechanism. Adjust the tape by winding slowly and if it doesn't spin back, you've got this right. To advance by one frame, turn the paper clip counterclockwise by roughly one to two full rotations. Pinhole camera complete! You are now ready to shoot! 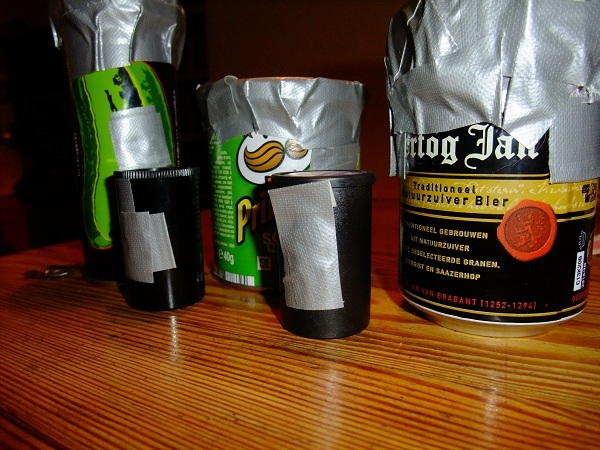 Every pinhole is different, so it’s best to do a test roll and note down the exposure times. With my pinhole, I shot with 200 ISO film and mostly in bright daylight. The exposures varied from 1-8 seconds and sometimes even more. 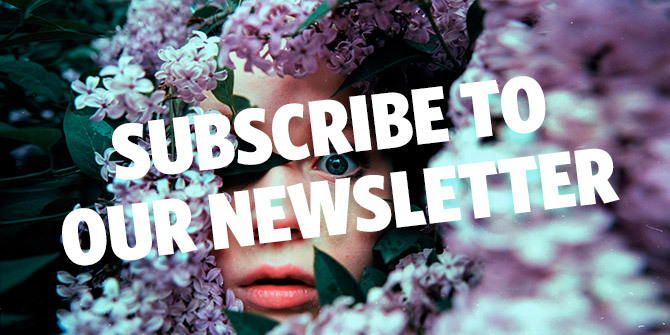 This tipster was written by Lomographer lostlittlekid. For more analogue tips and tricks from fellow Lomographers, follow them by creating your own LomoHome! drummerlizard, montagu, petrischev, jukatseye, mitarothanken, b2377, iblissss, neversmiling, pollypop, kineaux, alangaunt, tonantzin, miich, betterthanelvis, lasaventurasde, ropi, untangleart, laalaalaw, adash, opon21, hellborsh, usha_berg, xgitte, alexyz, neddih, edwinchau, erikagrendel, gionnired, mijc, slivinskaja_, maeusedisko, amedejulie, moccappucino07, phoenix1206, robertofiuza, ck_berlin, whitt8211, pboylan, brianr62, mafiosa, bebopbebop, atria007, goonies, nia_ffm, clownshoes, jltiug, holgardo, cosettex, luffyblu, lucaro, bravopires, leolensen, bloomchen, rwins, realrampage, pith, bluetrafficlights, fartstorm, kaylyn14, bbijlhout, ayer, castiana, gvelasco, angelab_log, pvehk, sommer, kiwiflou, rawee_jow, giovannidecarlo, yyyhorn, yankeemiss, julia-b, renenob, rainboow, feelux, aaronvales, tomkiddo, walasiteodito, vicker313, wafflesaurus, wuxiong, diomaxwelle, brommi, thejomi, neanderthalis, pearlgirl77, sobetion, ohlordy, aguillem, adi_totp, emkei & plasmids and 56 more lovely people. Show less, please. wooow! i will surely try this!!! Thanks so much for the support! It's a little unexpected to be honest but thank you to each and everyone of you! I'll get making and writing the next one... it's amazingly laborious to document each step! awesome!! this is super tipster!! Some hints: Leave all the flaps as they add structural integrity and help reduce potential light leaks. Use a black marker to color the inside of the box reducing internal reflections which will improve the images. Nice shutter design! Very cool. Will photo labs develop the film and make prints? I would imagine the "framing" on the negatives could be a difficult format for some places? Gotta try this some time. I've got tons of empty ektar boxes and I can ask for the canister after I drop some film off at my local lab. Thanks man! @naxoman77 and thanks heads up @gndrfck ! Great find! Made one for myself. Great idea! Thanks a lot! Excellent and very detailed! Great! Woow I need to try this! génial ! j'en suis a ma 4eme, et après quelques améliorations les résultats sont vraiment surprenant, et j'ai pris la boite dans la longueur pour faire du 16/9éme. I just made this! Super excited to try it out! got my film back.! most of them didnt turn out as anything more then randome bits of shadow, but I have posted the one that did kinda turn out on my wall! Its a very blurry tiny human (my son) and tree. We're thrilled to inform you that we have teamed up with Langly for a very special photo competition. 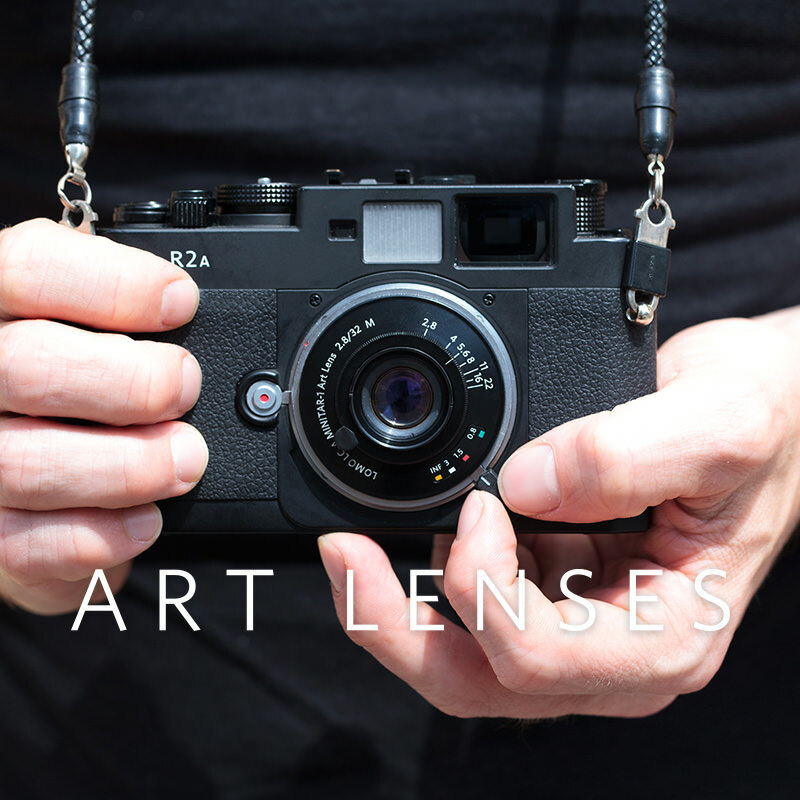 We know Lomographers are adventurous and we want to make sure you are properly equipped. Choosing the right film for you and your analogue projects is easy. You just have to know what matches your style! Inspired by the Soviet-era classic, this twin-lensed camera Lubitel 166+ is the huge upgrade you need to take your analogue grind to the next level.